April Fools’ Day may have already passed but did you spot our belated prank? 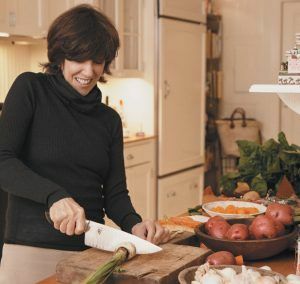 We don’t know Nora Ephron’s stance on blogs but she did once write, “Everything I know I learned from dogs.” Well, dogs are great but these days the average foodie can glean a lot more knowledge from blogs…so we’re kicking off the month with a round-up of a few that we recommend checking out. Keep reading for healthy food inspiration plus a few cookbooks everyone will want to get their hands on! 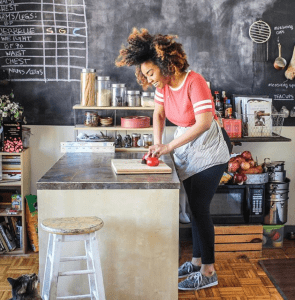 Jerrelle recently became a cookbook author with the publication of her book Black Girl Baking: Wholesome Recipes Inspired by a Soulful Upbringing. Says the badass baker, “My goal with this cookbook is to speak on the process (not just the end result) of creating in the kitchen and also speak on the journey toward finding personal power and agency within that space as a woman of color.” Follow her on Instagram. In addition to being a great resource for those learning to fend for themselves in the kitchen, Robert’s prose is also entertaining. The blog abounds with gems like this description of his former hatred for split pea soup: “In public school cafeteria, where I just bought a sandwich anyway, the smell and sight of that institutional classic, scared me like an evil clown doll under my bed. Nowadays, I love pea soup, my pea soup, and an assortment of religious icons, superhero action figures, garlic, horseshoes and a bust of Escoffier, all tucked under my bed gets me to sleep at night.” Read the archives here. In 2010, mother/daughter pair Anya Kassoff and Masha Davydova decided to bridge the 1,000 miles separating them by sharing recipes and self-care tips online. Their site soon grew into the popular blog Golubka Kitchen and the rest is history. 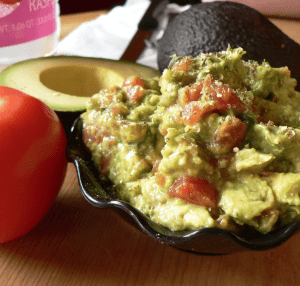 Today, followers head to GK to find recipes that are “always vegetarian, mostly vegan and sometimes raw…with a focus on the most healthful and seasonally delicious ingredients.” Fun fact: in a podcast interview, they named Ace customer Souen one of their favorite NYC restaurants! In 2014, the pair released their first cookbook, The Vibrant Table. This past February, the duo launched a second cookbook, Simply Vibrant: All-Day Vegetarian Recipes for Colorful Plant-Based Cooking. For more, follow along on Instagram. We hope you’ve enjoyed this post. 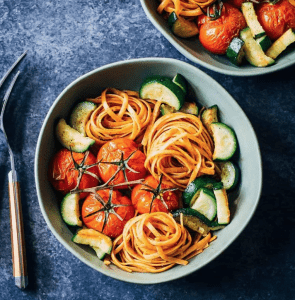 If you’re looking for additional foodie reading, we highly recommend checking out The Grub Street Diet where chefs and well-known foodies share all their secrets. Enjoy!